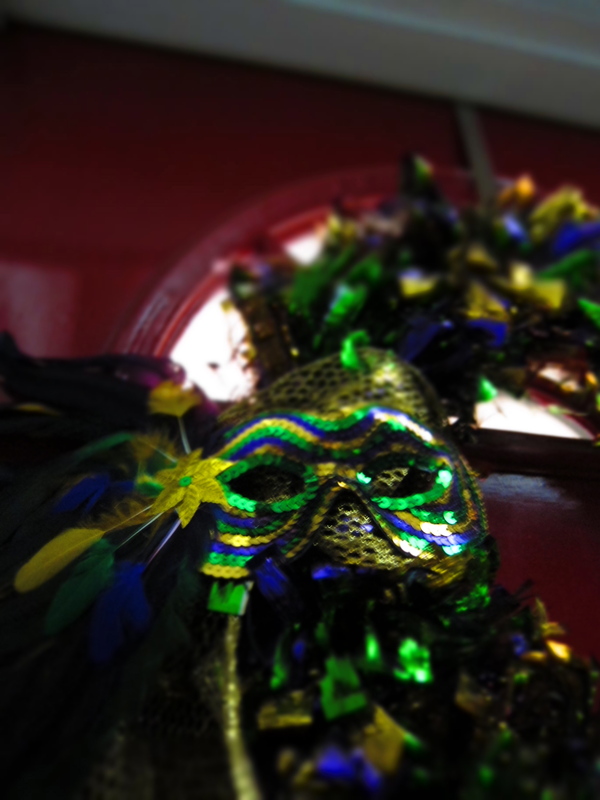 Our family has a lot of roots to Louisiana so we are big on Mardi Gras! I could eat King Cake everyday (cream cheese please)! 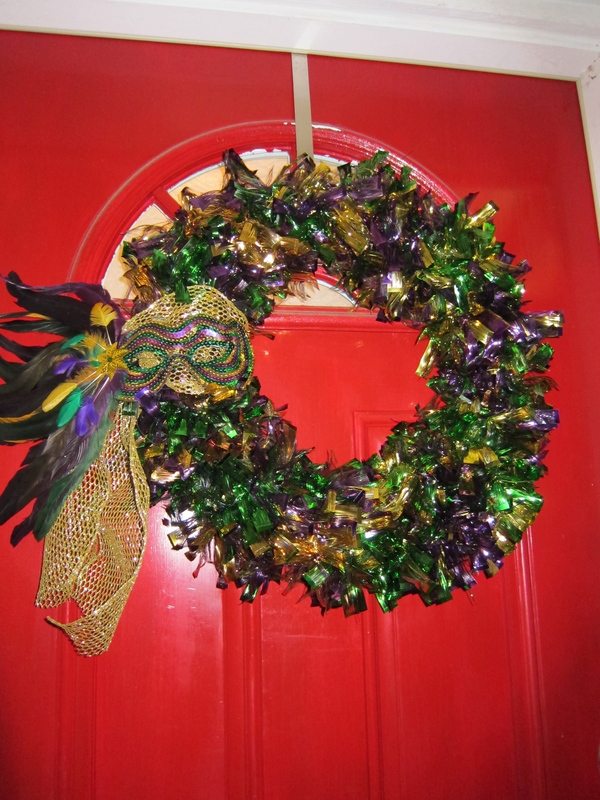 To get us into the Mardi Gras spirit, I made a great wreath for my front door. It was ridiculously simple so there won’t be a ton of pictures for the process. Melissa has also made a few Mardi Gras wreaths that are different from mine so hopefully she’ll post something on those soon too! To maximize the length of garland, instead of wrapping the garland all the way around the foam wreath core, wrap it back and forth across the front and pinned it in place with small pieces of wire. Once I made it all the way around wreath’s front half, I tied a piece of gold ribbon and placed my mask over the front of that. You could easily add a Happy Mardi Gras sign or some beads or anything else you’d like to bring in the Mardi Gras spirit! 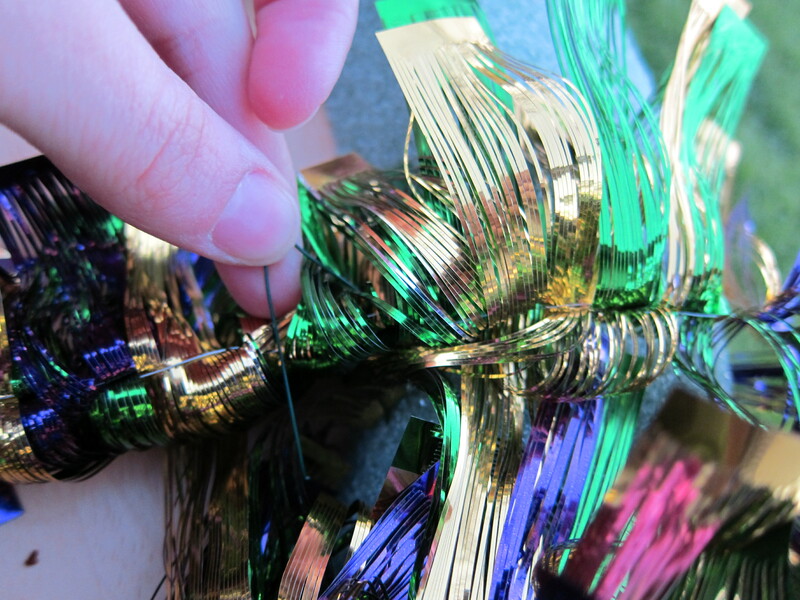 Happy wreath making & Happy Mardi Gras!